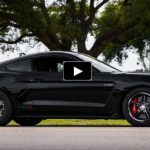 In August this year the Mustang Alley celebrated 20 years and besides the finest Mustangs there was a huge crowd of true enthusiasts having great time talking to each other and looking at muscle cars. It is always a pleasure to see so many people passionate about Ford Mustang at one place, the energy is just something I can’t describe with words. If you haven’t got a chance to participate to the Woodward Dream Cruise Mustang Alley yet you should certainly consider doing it next year. 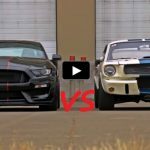 Check out the Ford Performance video to see why!